The descriptions Chinese and Japanese people attribute to themselves and to each other differ vastly and stand in stark contrast to Western perceptions that usually identify a 'similar disposition' between the two nations. Academic Nationals in China and Japan explores human categories, how academics classify themselves and how they divide the world into groups of people. 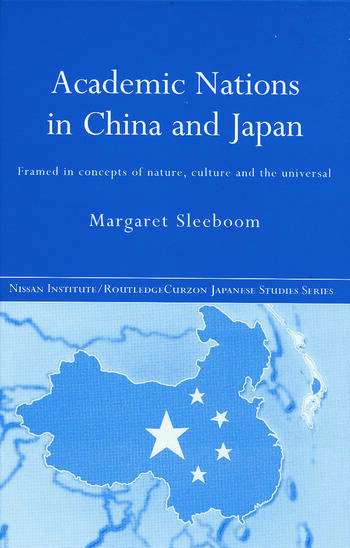 Margaret Sleeboom carefully analyses the role the nation-state plays in Chinese and Japanese academic theory, demonstrating how nation-centric blinkers often force academics to define social, cultural and economic issues as unique to a certain regional grouping. The book shows how this in turn contributes to the consolidating of national identity while identifying the complex and unintended effects of historical processes and the role played by other local, personal and universal identities which are usually discarded. While this book primarily reveals how academic nations are conceptualized through views of nature, culture and science, the author simultaneously identifies comparable problems concerning the relation between social science research and the development of the nation state. This book will appeal not only to Asianists but also to those with research interests in Cultural Studies and Sinology. Margaret Sleeboom teaches anthropology at Amsterdam University and is a Research Fellow at the International Institute for Asian Studies.